After seeing a Covent Garden production of Sleeping Beauty by chance on tv one Christmas, 13 year old Elaine Higham has a revelation. Suddenly she knows that classical ballet is her future. Absolutely nothing less would do. Starting so late in life Elaine would have to work harder than any of her peers and fight tooth and claw to realise her ambition. Exacting and unforgiving, her new career path would test her to the very limits. After four intense years at dance school, she wins a coveted place at a top dance academy – hungry and calculating she channels her fierce desire in order to succeed. Modelling herself on the academy’s star pupil – a girl with innate grace, beauty and style – becomes an obsession. An obsession that takes her beyond the bounds of propriety. And as the passionate dancer in her emerges, so awakens the young woman, and suddenly there is so much more at stake. Written from Elaine’s viewpoint, Cutting In whisks you away to another world. A world of pointe shoes, of stinging tendons, of pushing nerves, sinews, muscles, bones to the extremes of endurance. But most of all to the world of an unselfconfident yet ferociously driven teenager, single-minded about her objective and ruthless in her pursuit of it. If you’re expecting frilly pink tutus you’ll be disappointed. This is a gutsy book. With her customary skills of observation and perception Felicity Fair Thompson achieves something in this novel that other writers might baulk at – to get inside the head of a complex teenager on the cusp of womanhood, to see the world through her eyes. Peopled with recognisable characters and set in the familiar landscape of London and Sussex, it is yet the interior world of the novel’s protagonist, achingly vulnerable and scheming by turns and shot through with irresistible darkness, which intrigues. Well-paced and holding its tension like a perfect arabesque, Cutting In will have you guessing right up until the last page. Cutting In is available on Amazon and from www.wightdiamondpress.com. A chucklesome dogs-eye view of life, Sit, Stay, Roll Over is another hilarious insight into the life of a small dog and his long suffering family by author Helen Stockton. 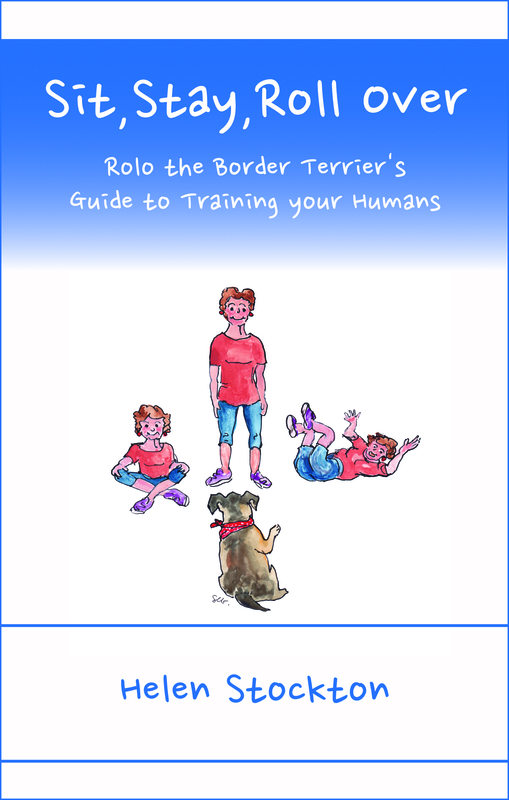 Of course it is actually written by Rolo, the eponymous Border Terrier of ‘The Last Rolo’ fame (his debut book), merely ghost-written by Stockton since Rolo can’t hold a pen – not having opposable thumbs. Written in the style of a chatty self-help manual aimed at the canine fraternity it takes the reader from the knotty problem of choosing the right owner (yes, that’s right ¬– contrary to popular belief our dogs choose us), through settling in and establishing the all-important pack hierarchy, to advice on daily routines and all the associated vagaries of a dog’s life. We get an insight into the idiosyncrasies of Them Indoors, Rolo’s family, and their response to his training. How will Her Indoors respond when faced with a doggy stomach upset? Will Him Indoors ever soften and demonstrate the repressed affinity he no doubt holds in his heart for his small canine co-habitee. We learn about broader issues such as how to continue a game of tug as long as possible, the best way to deal with pregnancy and a new baby in the family, what to do when confronted with a visit to the vet, and how to find the best spots for sun-puddling (that knack that dogs and cats have for finding and flopping down in the best – or sometimes only – sunny spot). Some of my frequent laugh-out-loud moments included The Dog Rules of Ownership, which starts “If you want it, it’s yours”; most of the section on Training Classes; and the first line under the heading Fears and Phobias – “Now I’m a fearless kind of dog, although unfurling carrier bags need treating with the suspicion they deserve”. Revealing many a home truth, this light-hearted page-turner will strike a chord with anyone who has ever owned a dog. Available from Amazon or www.helenstockton.co.uk. Rolo also has a mag column www.magnetpublications.co.uk & blog www.rolotheborderterrier.blogspot.com. 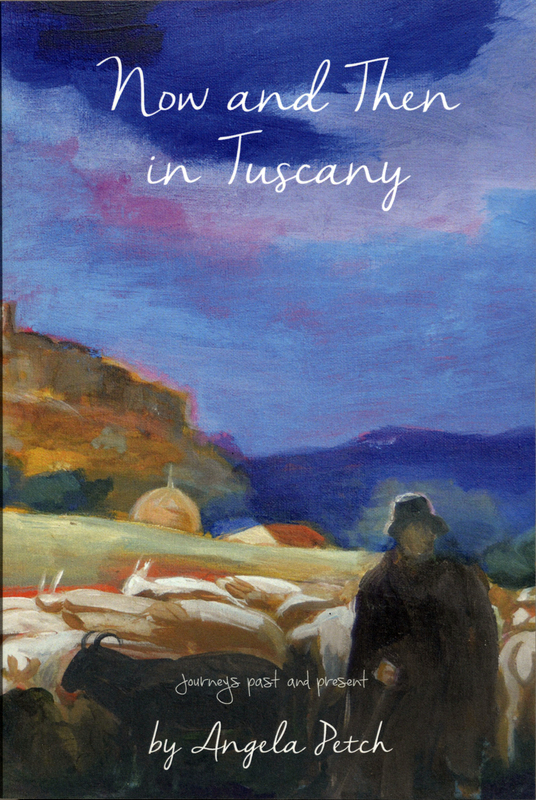 Now and Then in Tuscany is the second of Angela Petch’s Tuscan stories and a sequel to her debut novel, Tuscan Roots. Although it works very well as a stand-alone story, I would totally recommend reading both. Together, these two books follow the fortunes of Anna and Francesco whilst unravelling the stories of their respective forebears. Now and Then in Tuscany takes up Francesco’s Italian family story, unfolding like a peculiar episode of Who Do You Think You Are, where only the viewer is privy to the ancestors’ secrets. Moving deftly between present day and the early 20th Century, Angela conjures up the essence of both time periods with subtlety and the insight of an inveterate people-watcher. Beautifully written, bringing to life the countryside and punctuated occasionally with black and white photos showing the life and times of the Apennines – antiquated machinery, grainy photos of peasants and people at work, wistful views – the storyline draws us inexorably into the lives of the protagonists, both then and now, sharing their inmost thoughts and feelings. Now and Then in Tuscany is more than a good story, it’s an insight into a way of life that has been lost in the inevitable march of progress – and I thoroughly enjoyed it. I did have one little niggle though… once I’d finished I went back to the beginning and re-read the prologue. What had initially seemed a beautifully written but random scene set in a completely different time had, in fact, set the stage for the story to come. Ah, I thought to myself, it makes complete sense now. Now and Then in Tuscany is available in paperback from Amazon, and as an ebook from Endeavour Press.